Since 2010, the Oppikoppi music festival has bestowed the honour of tribute shows to some of South Africa’s veterans in the music industry. 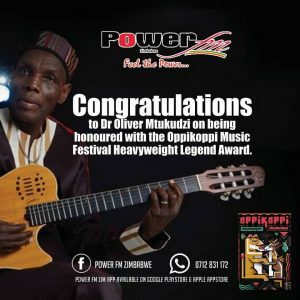 From Valiant Swart to Ready D, Bra Hugh and even Mafikizolo, the list of honourees have been diverse.The festival, which is titled Oppikoppi 24: Nomakanjani this year, will continue in this diverse vein when they pay tribute to the legend, Oliver Mtukudzi. The Zimbabwean artist who has been performing for 41 years is deserving of the honour.